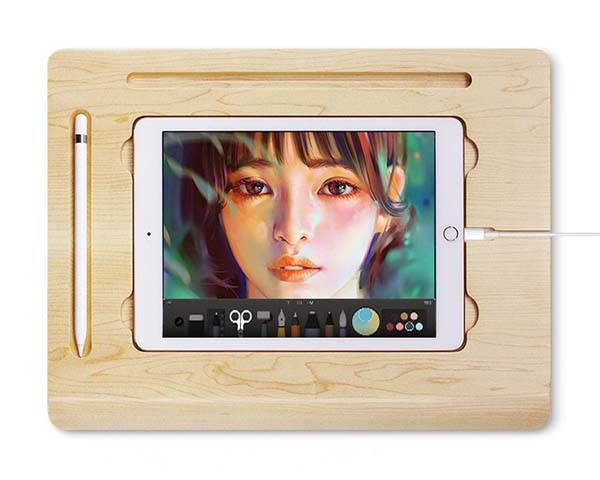 The handmade wooden iPad Pro holder lets you more comfortably draw with your iPad Pro. Need more features? Let’s keep checking. This is a well-designed and versatile iPad Pro artboard base handmade by flyhigh1995, a handicraft studio in China. The holder is available in five models to fit for all iPad Pro models. As shown in the images, the artboard boasts a sleek, minimalistic appearance design, and the smooth bezels not only delivers a comfortable touch, but also allows for enhanced elegance. Meanwhile, the board is made from maple for durability and natural aesthetics. With a custom tray, the artboard base firmly keeps your iPad Pro in place so that you can more comfortably draw on the tablet, Furthermore, an Apple Pencil slot is designed to dock your Pencil for easy storage and access, while another narrow groove serves as a tablet and phone holder to keep your device upright for handsfree viewing. Moreover, a narrow slot works with your Lightning cable in order to charge your iPad Pro while you draw. In addition, it’s customizable by engraving your name, initials, logo, or any text which you want. 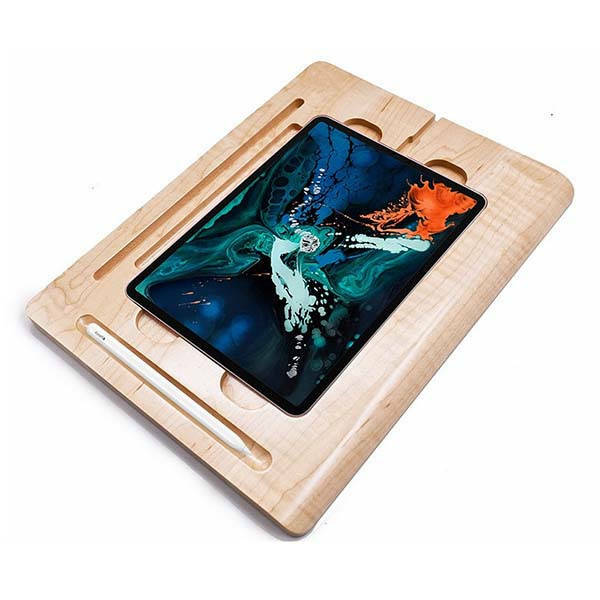 The handmade personalized wooden iPad Pro holder starts from $99.98 USD. If you’re interested, jump to Etsy for its more details.